Fatbergs have captured the popular imagination in recent months with TV programmes, a museum exhibition and even a musical planned on the topic, but the companies tasked with preventing sewer blockages from fat, oil and grease (FOG) at source have also been very active. 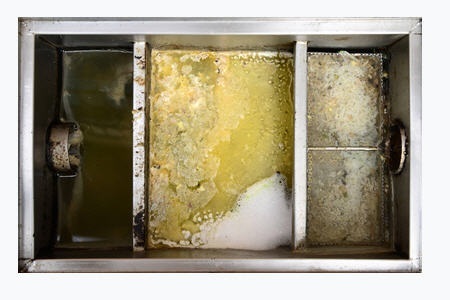 The Grease Contractors Association (GCA), which represents best practice in the maintenance of grease traps and management systems in food establishments, has more than doubled its membership over the last year. The association is administered through British Water and now boasts 17 members. The GCA appointed British Water chief executive Lila Thompson as chair in January 2019, she said, “I am delighted to take on the role of chair for the Grease Contractors Association, because this is a critical issue in the water industry. Blockages from FOG are never far from the news headlines and pose a massive cost and operational headache for utilities. “In a recent prosecution by Severn Trent Water a restaurant owner in Nottingham was fined over £8,000 for failing to have the correct equipment. The incident could have been prevented had a suitable grease trap been installed and maintained. The Grease Contractors Association’s former chair, Edward Palin, will speak at British Water’s Fighting the Fatberg Conference, which takes place on 27 February 2019 at Cranfield University. Representatives from Thames Water, Southern Water and South West Water will share their fatberg strategies at the event. The GCA is still recruiting members and aims to sign up all contractors involved in grease trap maintenance, visit http://www.greasecontractors.org/. British Water is the lead representative and business development organisation for the UK water industry supply chain.